About us - Kroki Nautika d.o.o. KROKI has been working in the yacht charter business for over 25 years. Despite our growth we have never changed our philosophy of providing the best service possible to our customers. That is why the general manager of the company will welcome you at the base and will be at your disposal during check-in and chek-out. That is why we made sure to have a mechanic, a sail-maker, electrial service and other technical support at our base. That is why we secured a strong fast boat to be able to reach you at the most distant points of your holiday should you need our assistance 24/7. For check-in, at your disposal are German, Italian and English speaking check-in skippers who are trained to provide you with an efficient and complete check-in. For your safety, all yachts are controlled by a scuba diver at each check-out. Our base is located in D-Marin „Marina Dalmacija“ in Sukosan, 7km South of Zadar where we operate over 70 boats. We offer wide range of boats: sailing, catamarans and motor boats. Our main lines are Jeanneau, Beneteau, Lagoon, Bavaria and Elan boats. 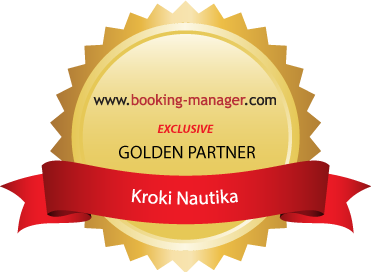 Kroki is also 1st charter company in Croatia that has ISO Certificate for yacht repairs and charter management. Explore and enjoy your next yacht charter holidays in Croatia on one of Kroki boats! We are not alone! We have partners helping us to book our sailboats. Yacht-Rent team came to visit us on ICE 2016.